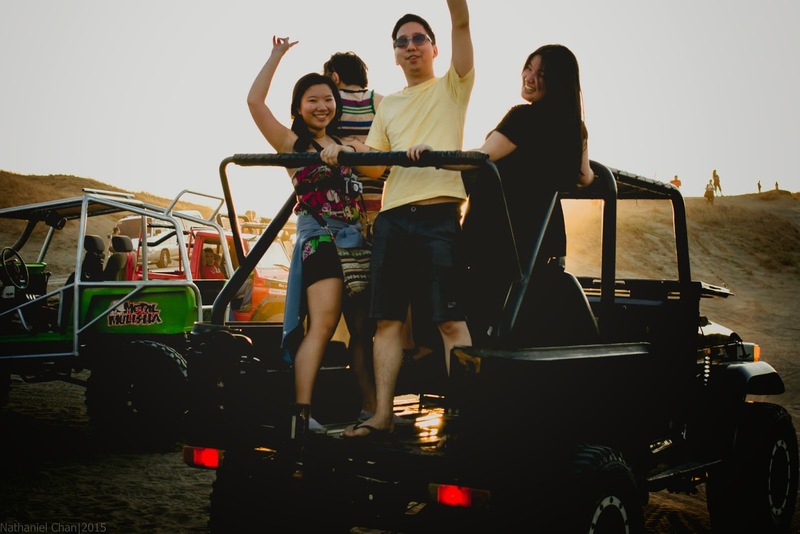 Going back to our Ilocos experience, we chose going to the sand dunes as our first activity. We all agreed to do this because we wanted to start our vacation with a bang. 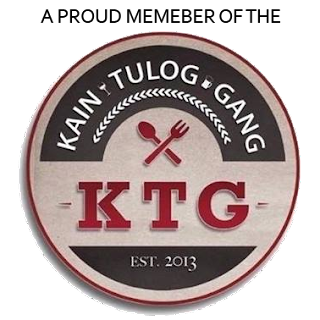 Related Post: Balay da Blas - Top Recommended Place to Stay in Laoag - this amazing home-like inn is only 15-20 minutes away from this place. 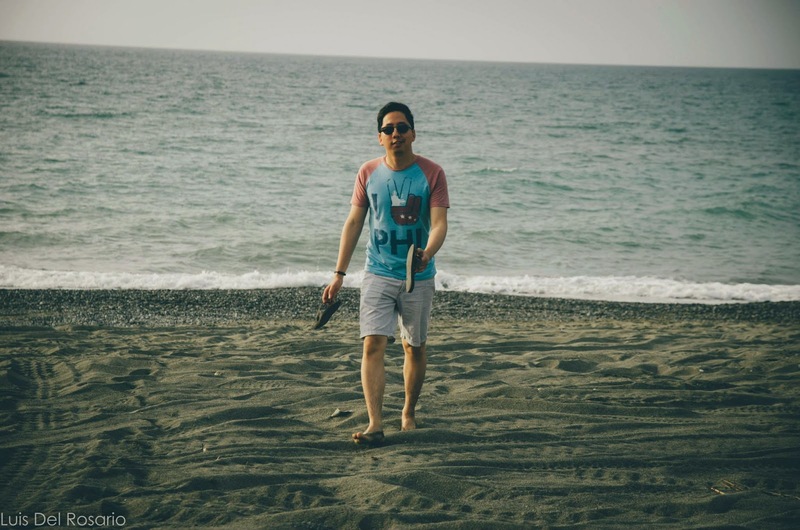 I don't know if this is the same case as other hotels/inns, but the accommodating staff of Balay da Blas coordinated with the personnel of the 4x4 ride and ATV rental providers to pick us up in this inn for no additional fee. 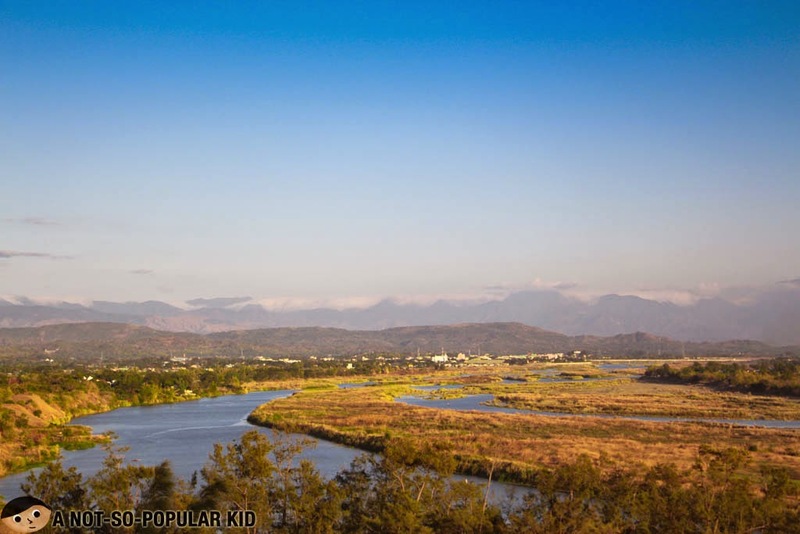 Ilocos Norte, particularly Paoay, is frequently known for the sand dunes. It's the place where you can basically do three thrilling activities. The first one is sand boarding. The next is taking the 4x4 ride, and lastly riding an ATV. We did two of these three during our first day, and the third activity during our last. All of these activities were done in a single place. 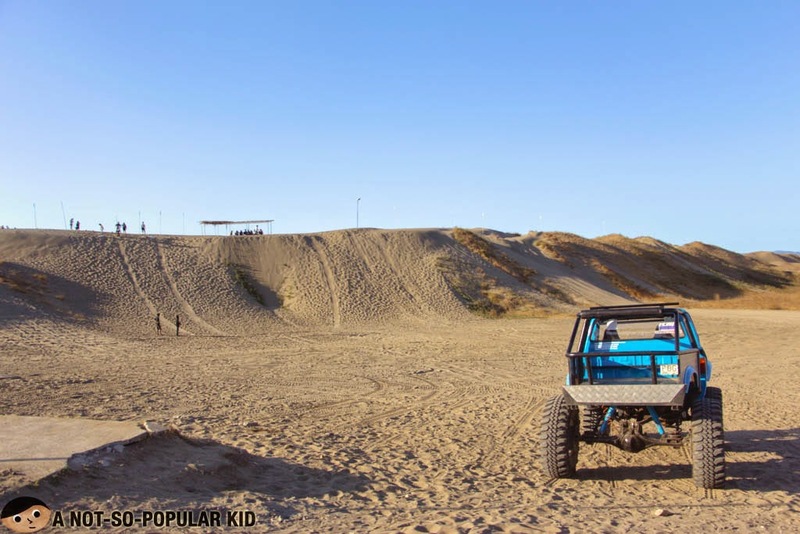 There are four ways in which you may want to go sand boarding. I'll arrange them in terms of difficulty. "Wooohooo!" 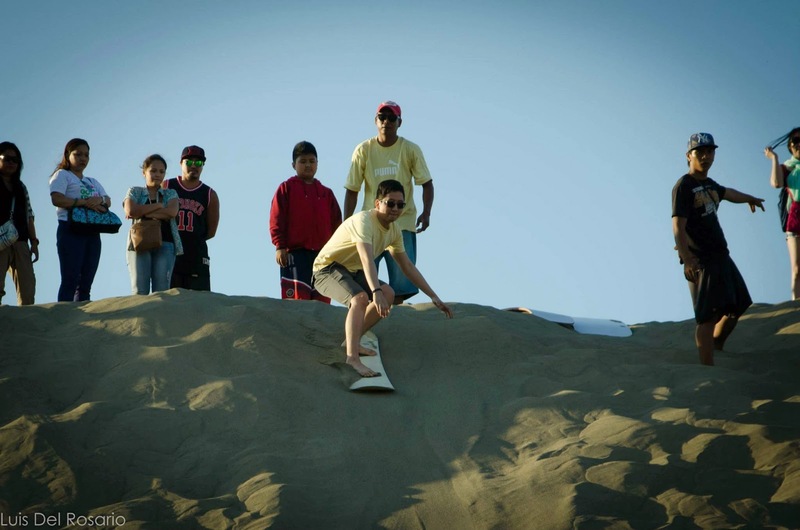 - Sand boarding in Ilocos Norte! 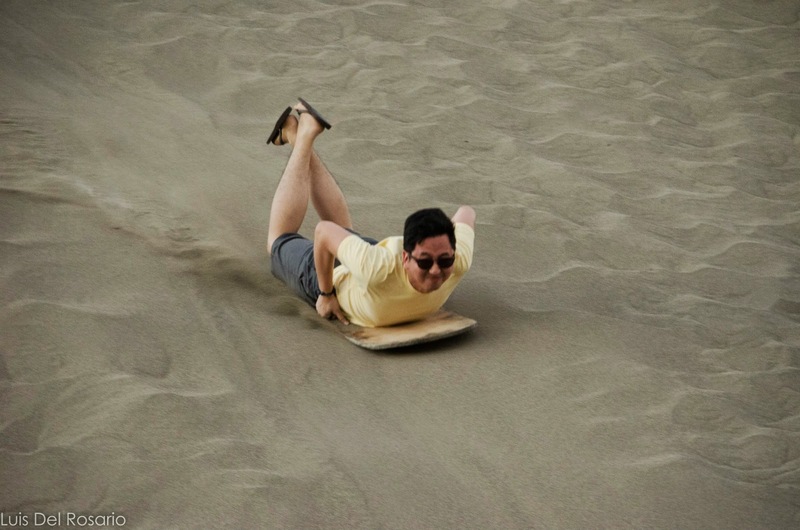 This is the most basic way you can enjoy sand boarding. Of course, there is thrill in doing this; however, the other styles are more so. 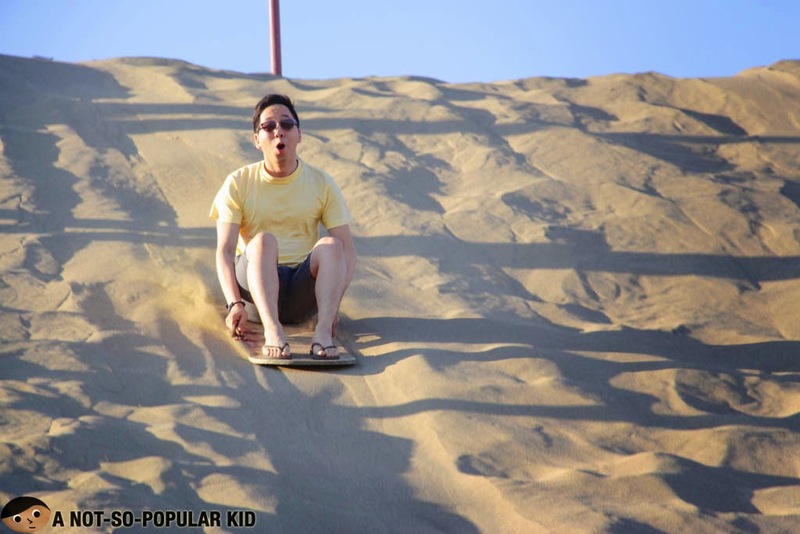 Sand boarding ala Superman - take more risks! Go face first by riding ala superman. 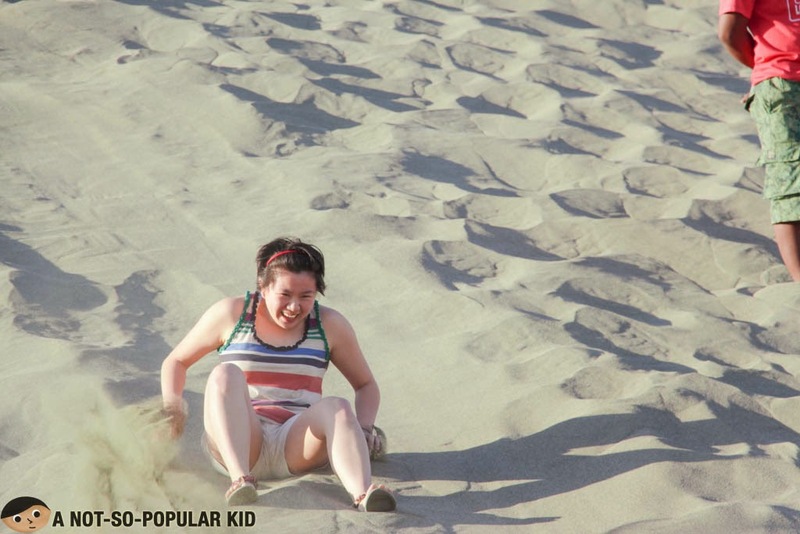 It's definitely an awesome way to enjoy the sand, you'll even have a taste of it when you do it this way. 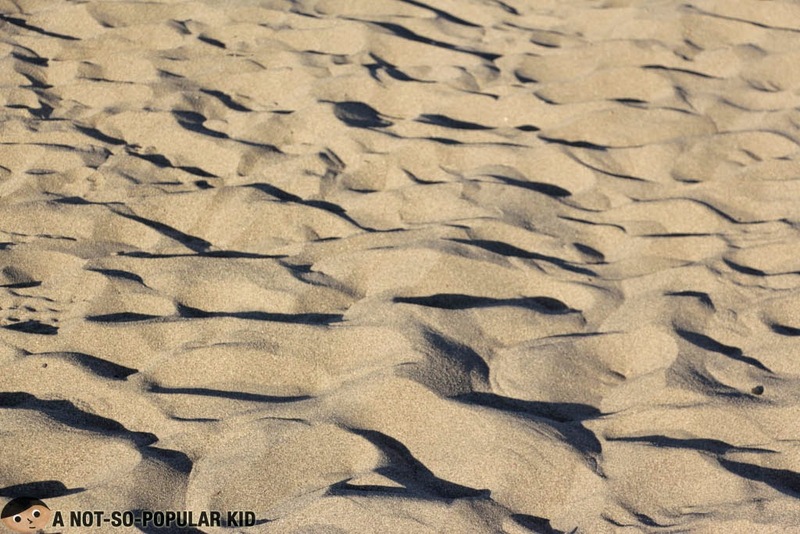 Ride the waves of the sand as you go sand surfing! Test your balancing and maneuvering skill by surfing through the sand. Sand boarding without the "board"
If you are imaginative and creative, you may go board free and just slide along the sands. Kidding! But really, I imagined myself rolling on the sand! 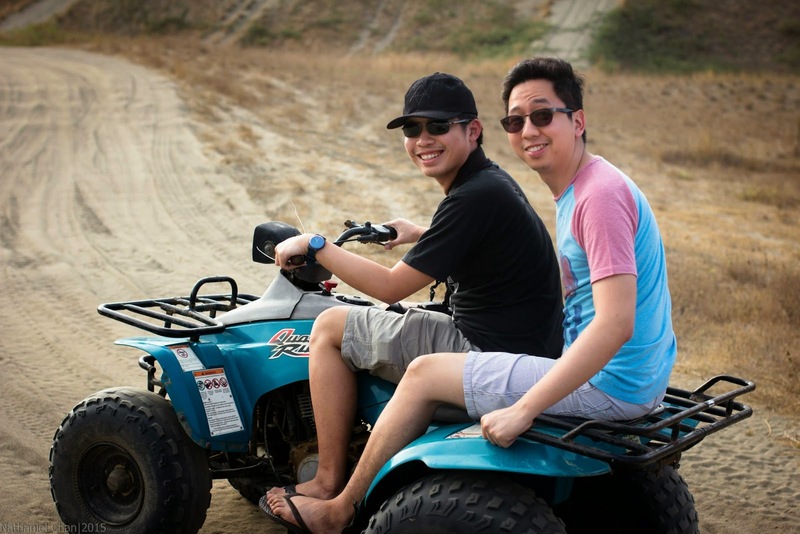 Now, if you think the sand boardibg activity is fun, wait 'til you ride the 4x4 ATV. As it involved relatively higher risk (i.e. 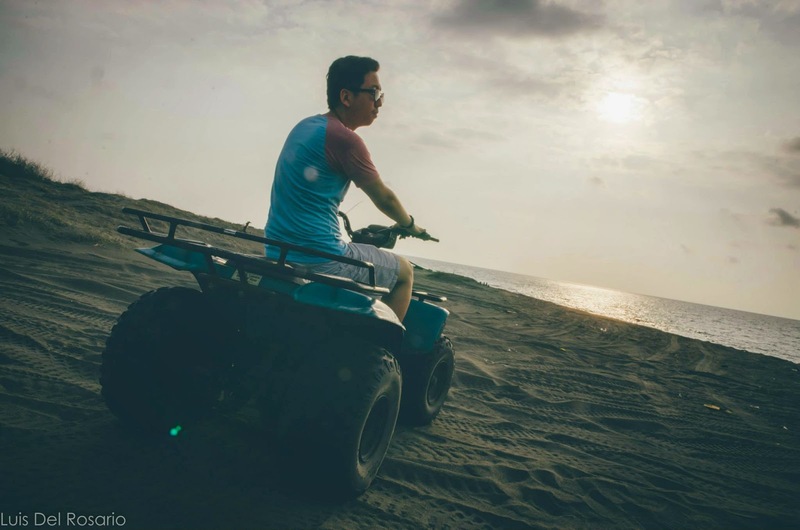 although the ride is considerably safe), the ATV ride becomes a more thrilling experience than the first mentioned activity. In fact, you'll almost have the same feeling riding a roller coaster but this time wilder and dirtier (literally with all the sand dangling in the air). 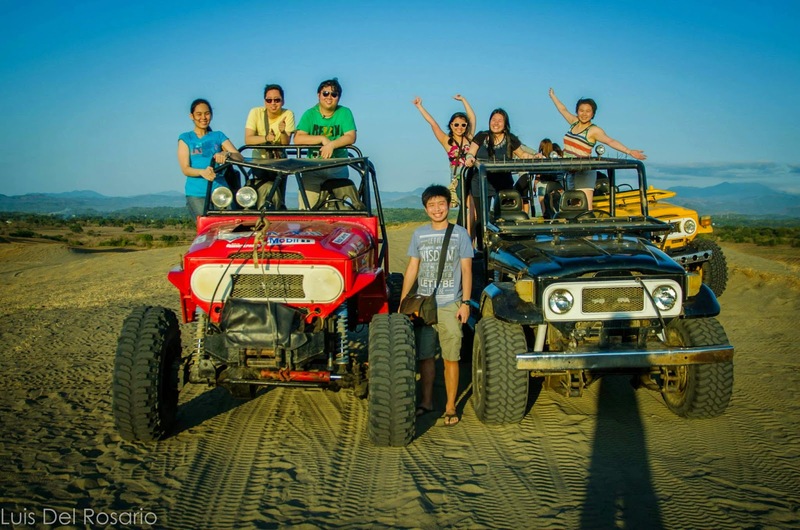 Barkada Photo - one of our unforgettable out-of-town adventure! 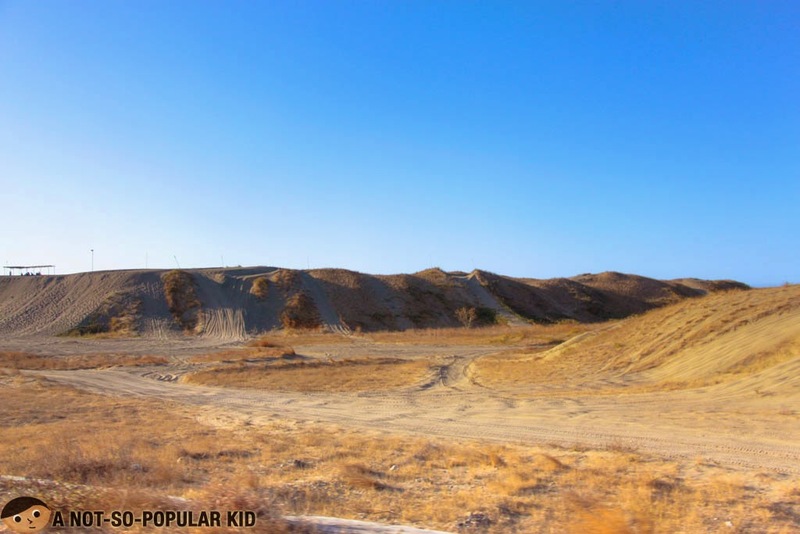 Now, you may ride your own little version of the 4x4 and explore the sand dunes all by yourself or with a buddy. 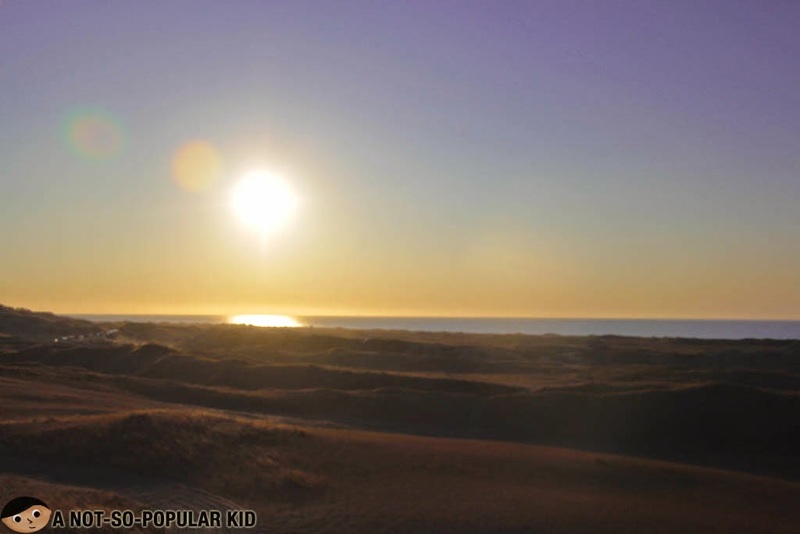 Now, in case you are not into strenuous activities, you may still go to the sand dunes for a stroll, to take photos or to just enjoy the scenery. Below are some of the photos magically taken by my good friend Alberto del Rosario. Frolic on the shores for a while as your ride your way towards the sea. You'll get a dose of energizing fresh air as you commune with nature. 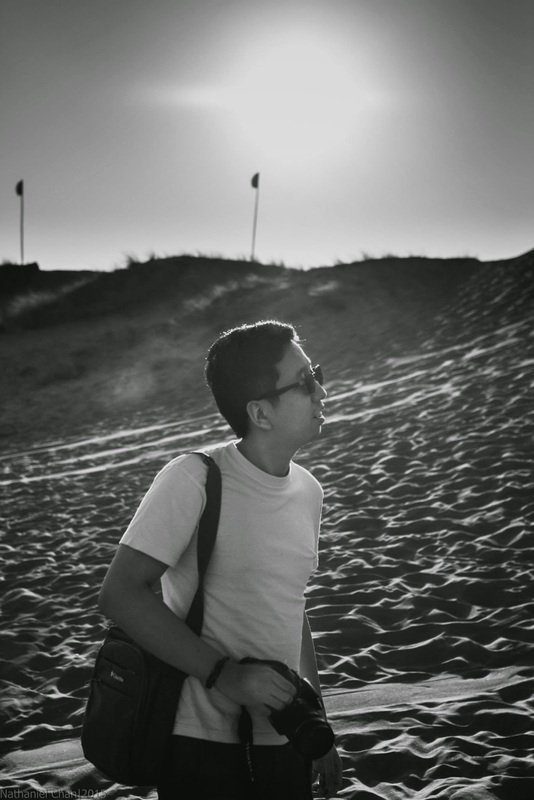 If you are into nature photography, you'll definitely love it there in the sand dunes. 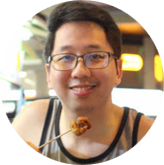 The foodie became a travel junkie - A Not-So-Popular Kid Travel Edition! Also, we took the wonderful opportunity of storing our memories into photos under the glorious sunset scenery. A bit of our vanity struck as well. 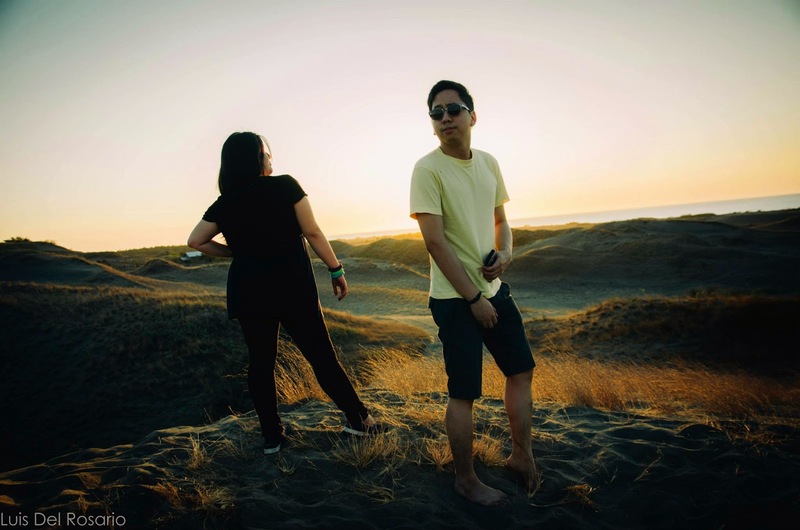 Pose how you want here in the sand dunes of Ilocos Norte! And of course, you never miss taking the grandeur of the sinking sun. 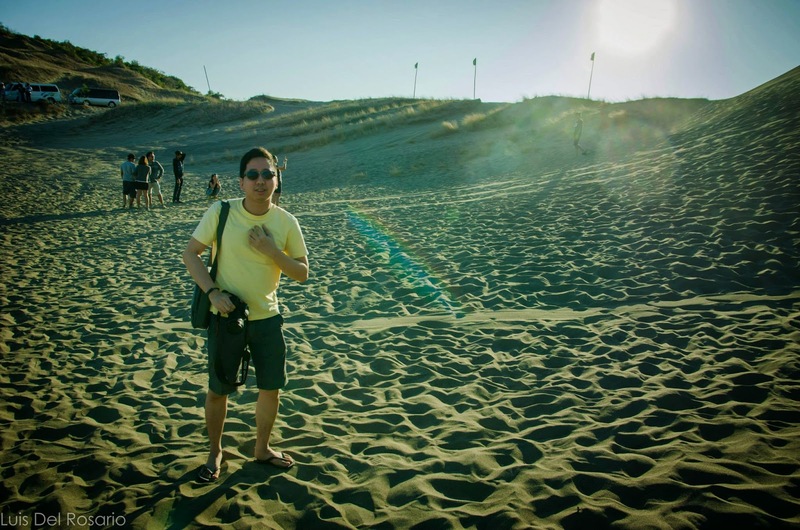 In a nutshell, visiting the sand dunes of Ilocos Norte is truly a must for those taking a vacation in the said province. With a bunch of activities you can do, you'll definitely experience more thrill to your life, while enjoying nature as well.